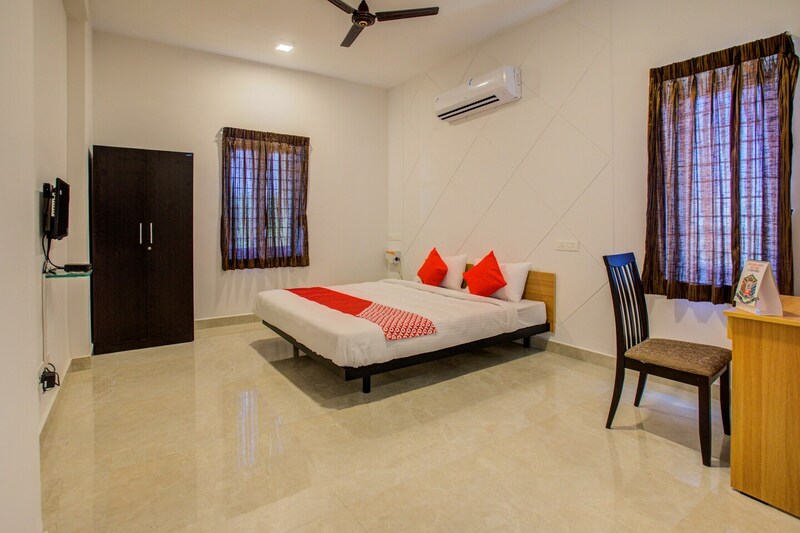 Ilara is a very popular name in Pondicherry as it provides comfortable rooms within a pocket-friendly price range. The hotel is located in the neighborhood of the Jayam Nagar in Pondicherry. The rooms are very spacious and have been painted in monochromatic hues in combination with intricate patterns. All rooms are well-furnished and have been provided with large windows and long curtains. The rooms are well-lit and have been decorated with some boldly colored curtains and cushions. The hotel also provides some extra facilities like free Wi-Fi, parking provisions, a constant power backup source, CCTV cameras and card payment in all forms. The front desk service is conveniently located near the entrance and is handled by experienced staff personnel who try to solve all problems faced by the guests. The hotel is surrounded by a number of restaurants such as Open House - Sunway Manor, Greasy Tin, and Hotel Sri Kamatchi.